Hi Faisal(Team Leader/Designer) from Team Tartan Paint here to give you a small update. and Jurgita has managed to produce some home units. Stewart has been working on the Environment tiles more currently he has managed to produce enough tiles and variations for 2 out of the 3 environments that are planned. Currently I’ve been working on programming and laying out the user interface. currently Zac our coder has been working on the getting the assets into the game and programming in the paths and path tiles. now the tiles along the path are randomized so all 3 paths are made with random tiles. thanks for reading and good luck to everyone else taking part in the jam hope we all have fun making these games. as for myself, I got the water/beach tiles done. the water tiles are submerged/flooded paths, with some beaches. and a good start on the final tree elemental tiles. 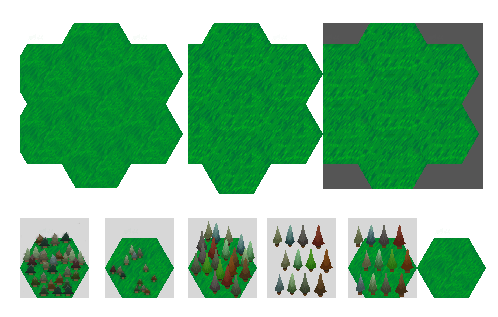 experimented a lot to get trees that read well at the resolution. final versions have decorative flowers and shrubbery, and I hope to have the paths done tomorrow then I can start on user interfaces 😀 thanks for reading!